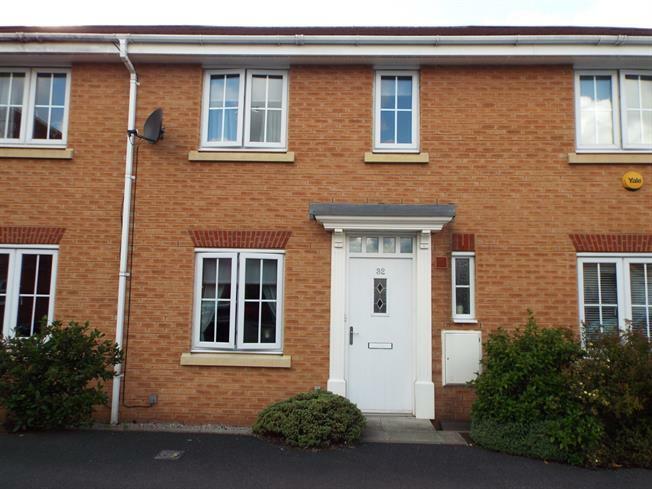 3 Bedroom Mews House For Sale in St. Helens for Offers in the region of £140,000. Available with no on-ward chain. This beautiful three bedroom mews is located in the highly desirable area of Eccleston. Constructed in approximately 2006, the property boasts a neutral light and airy feel. Maintained to a high standard the property comprises of; large main reception room, leading through to a large kitchen/diner with patio doors leading into the rear private garden. The property is light and airy, offering plentiful space. To the rear is a partly decked private garden complimented by a pebble stoned area, perfect for low maintenance. The garden is south facing, offering plenty of summer sun shine. Car parking space for two vehicles. A fabulous size lounge with neutral decor. The lounge also features a cosy fireplace, adding that little touch to this higly maintained house. A beautifully maintained kitchen / diner offering plenty of space and light; patio doors leading into the garden. The master is a spacious double bedroom complimented by modern & neutral decor. Additionally there is an en-suite room with plenty of space for personal belongings.